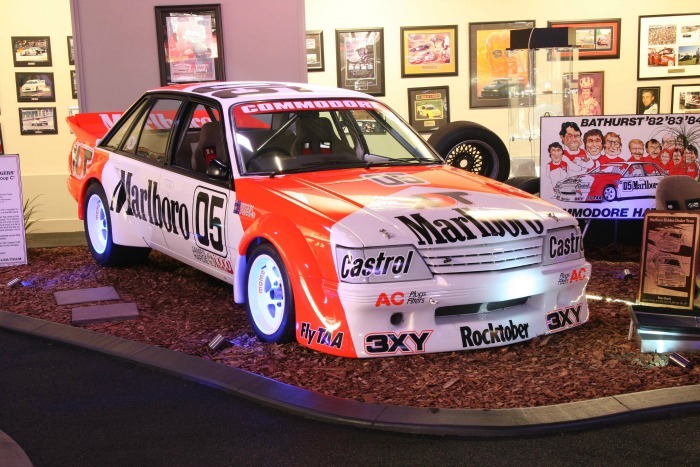 Peter Brock's car could fetch millions at auction. Source: Lloyds Auctions. He was one of Australia’s best known and most successful racing car drivers before his sad death in 2006, and now the original car that Peter Brock enjoyed some of his biggest successes in is expected to fetch more than $2million at auction. The famed driver, well known as ‘Peter Perfect’ or simply ‘Brocky’, won the 1984 Bathurst 1000 as well as the Sandown 500 and Surfers Paradise 300 in his Day-Glo ‘Big Banger’ – the Group C Commodore. Now, the original car itself is up for grabs, but it comes with a hefty price tag. The ‘Big Banger’ is one of 30 cars, all previously raced by Brock, to be displayed across the country in NSW, SA and VIC, before going to auction – in what could be the very last time they’re all seen under one roof. A collection of 30 cars will be going to auction together. Source: Lloyds Auctions. The auction is set to take place in Bathurst on October 6 – the same weekend as the Bathurst Race. The ‘Big Banger’ itself is expected to fetch $2m. Source: Lloyds Auctions. While it’s possible each car will sell separately, there are talks of potential partnerships and syndication to keep the whole collection together. “This car has already had enormous interest – we’ve had thousands of enquires every day since the collection has been announced including enquiries from overseas,” head auctioneer Bill Freeman added. It could be the last time all the cars are together. Source: Lloyds Auctions. Brock was inducted into the V8 Supercars Hall of Fame in 2001 after winning the Bathurst 1000 endurance race nine times, the Sandown 500 touring car race nine times, the Australian Touring Car Championship three times and the Bathurst 24 Hour once. The auction comes after a Ford GTHO Phase III, previously owned by Australian Test cricketer Jeff Thomson, sold for $1million, setting a new record for an Australian built car. The Phase III car originally sold for just over $5,000 in 1971. 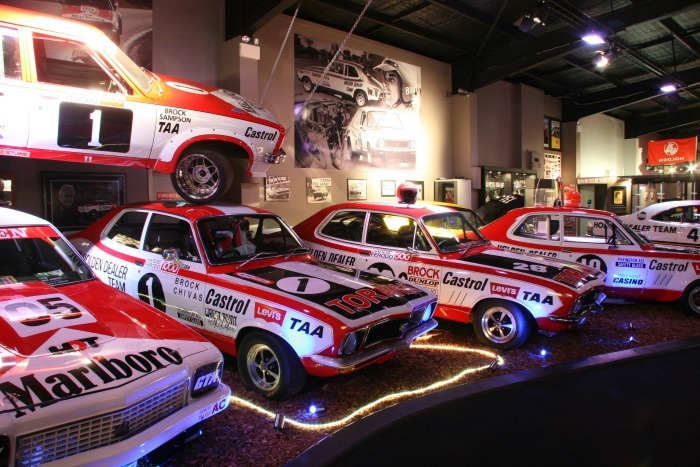 Do you remember watching Peter Brock’s racing career?